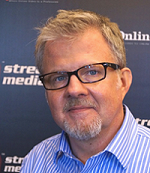 For the most part, the March 2013 comScore video rankings don't reveal any surprises—Google and YouTube still rule the roost, with Facebook and VEVO coming in second and third, respectively—but the number of ads as a percentage of total videos viewed comes as something of a shock. 25.1 percent of all videos viewed in March were ads, accounting for 2.2 percent of total video viewing minutes. The overall numbers were up, too. More than 182 million viewers watched more than 39 million videos, up over February, which saw 178 million viewers and 33 billion videos. Even taking into consideration that February is a short month, that's a about a 15% jump in the number of online videos viewed overall. Google sites (including YouTube) led the way with more than 150 million viewers and more than 11 million videos viewed, and an average of just over 362 minutes per viewer. 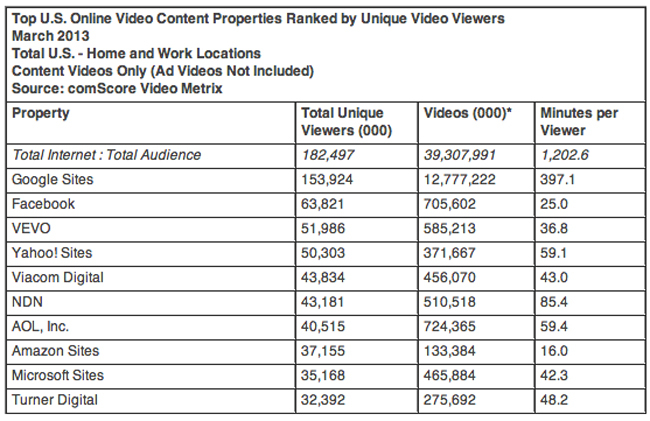 Facebook came in second, but as usual, it was a distant second, with 61 million viewers watching 557 million videos. For sheer number of video ads, Google Sites again led the way, but the BrightRoll Video Network delivered the highest number of total ad minutes at 1.2 million. 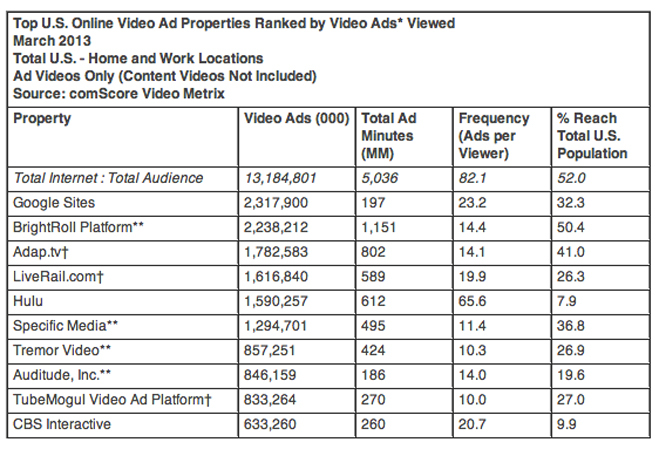 More than half the U.S. population watched video ads, with the average viewer seeing 82 video ads in March. In total, online video viewers spent 5 billion minutes watching video ads. Desktop video views continue a slow decline, although viewers are watching more ads on those videos.